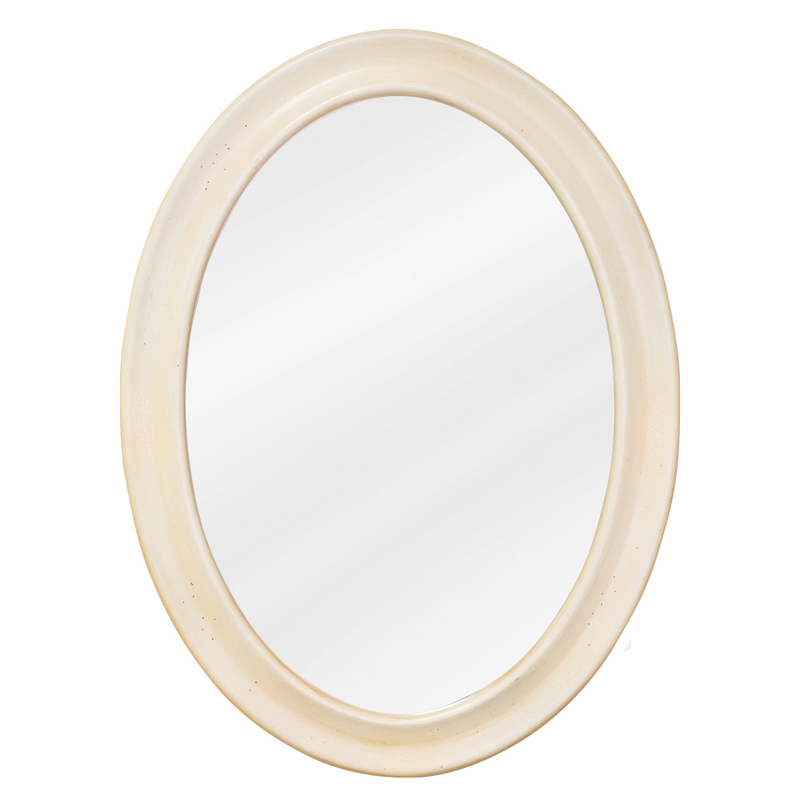 Perfect for a large bathroom and stunning for a master bathroom, the 50.25" Santee Single Bath Vanity gives your bathroom both a regal and sophisticated look. 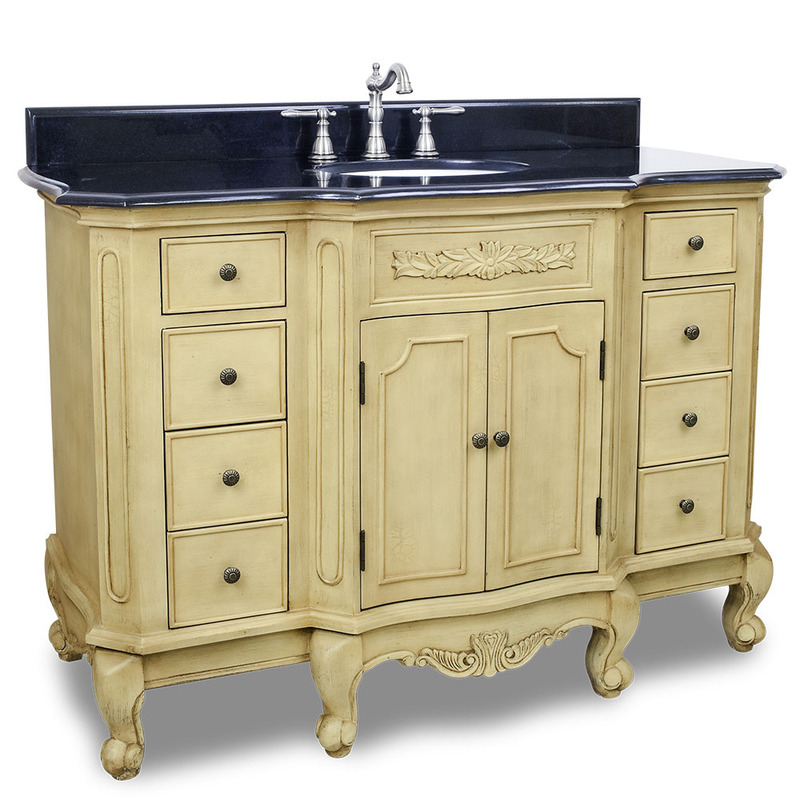 The gorgeous Buttercream finished cabinet, with antique style woodwork and a crackle effect creates a sense of sophistication to your bathroom. 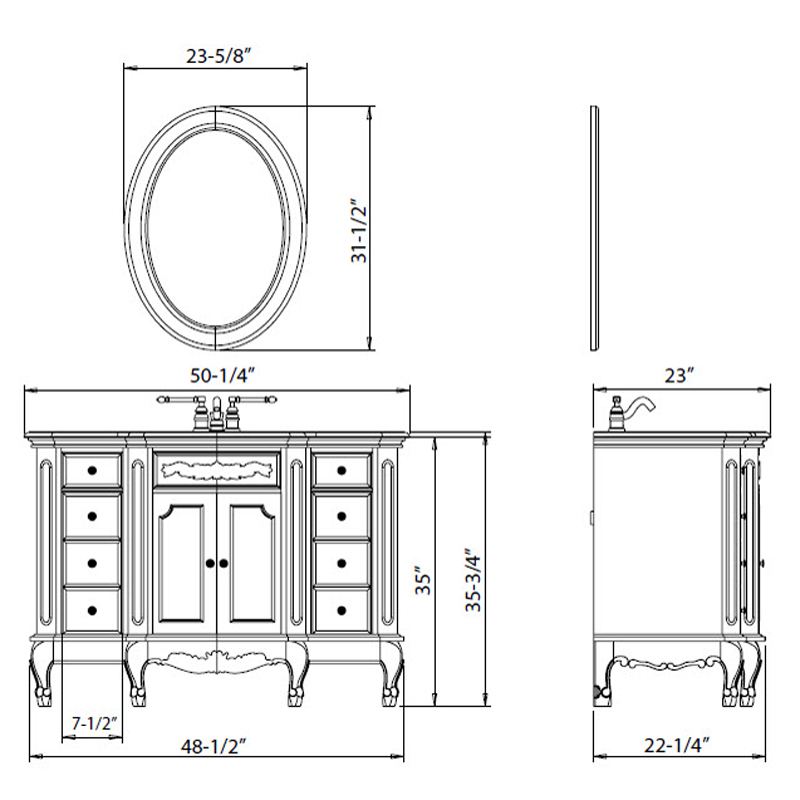 Scrolled legs and carved woodworking along the bottom and top of the vanity further enhances the theme. The Santee also features plenty of storage space - with a central double-door cabinet and 4 fully functional drawers on each side for organized storage space. An elegantly carved black granite top is preinstalled to the Santee and offers a contrasting, but striking appeal to the entire vanity.